Optimum comfort, perfect fit at the waist by an adjustable waist belt and a storage compartment that allows for easy access at a 45 degree angle, provides the hydraulic bottle holder belt. This is the perfect companion for runs of medium distances. A 3D bottle is included, it was shaped so that the pressure on the hips is reduced and it is perfectly obvious. It stays where you belong! The zippered pocket on the waist belt allows you to store items that you can not do without when running and hereby not need! 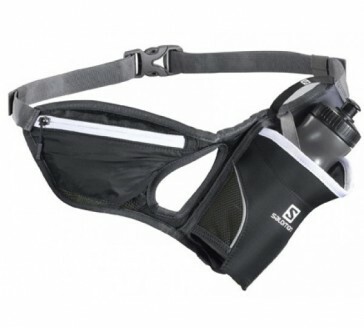 4D bottle holder: Allows a user-friendly, fast, easy access to water bottle, by a holder, which is angled at 45 °. After use, this gets inserted through the specially shaped top, almost by itself back into the holder.